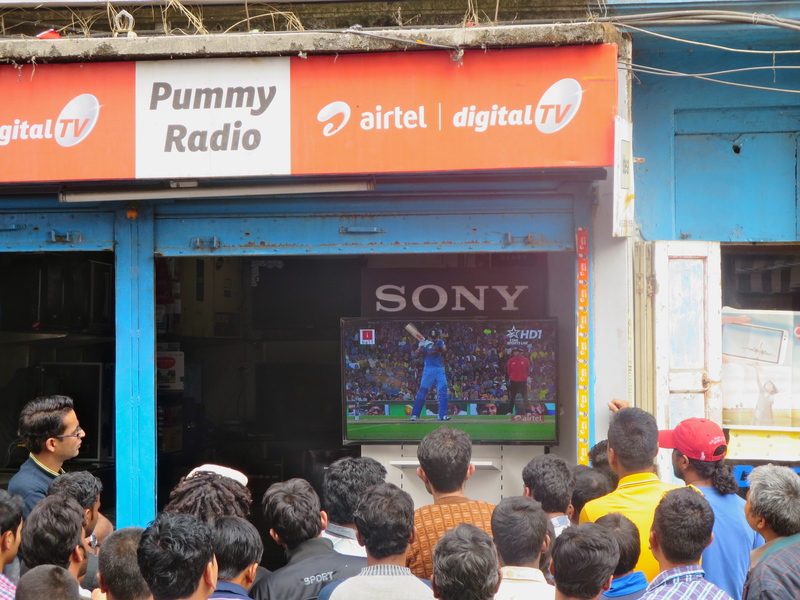 India plays Australia in the Cricket World Cup semi-finals. Once just a scattering of Himalayan mountain villages, Darjeeling’s stature heightened during the mid 19th century when the colonizing British, after annexing the area and establishing a hill station, discovered the region was especially suited for tea production. 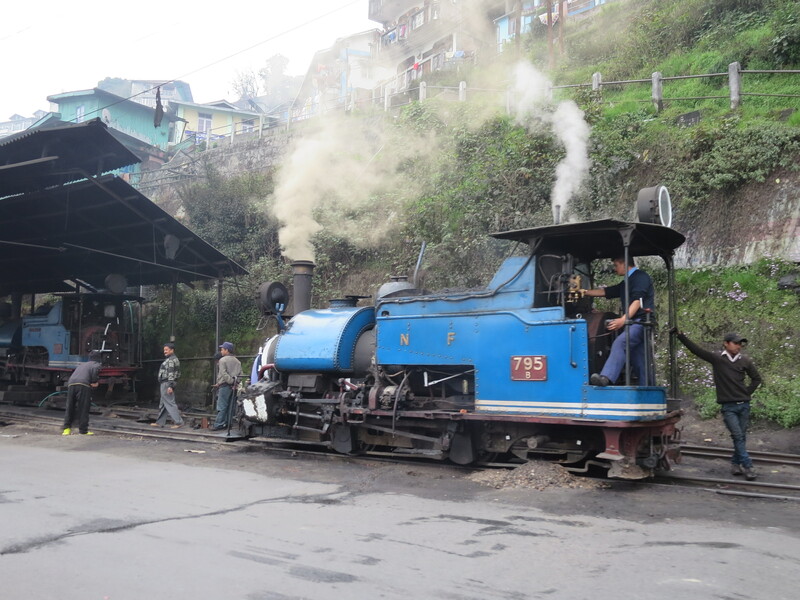 The Darjeeling Himalayan Railway opened in 1881 and the cool climate town became the summer capital of British India. Darjeeling Himalayan Express steam engines still ride the rails. Today the train still runs, remnants of colonial architecture remain intact and the plantations continue to produce tea to fussy 19th century British standards. Touring the Happy Valley Tea Estate we learn that coal fires, as specified in their original charter, are still used to air dry the tea leaves. 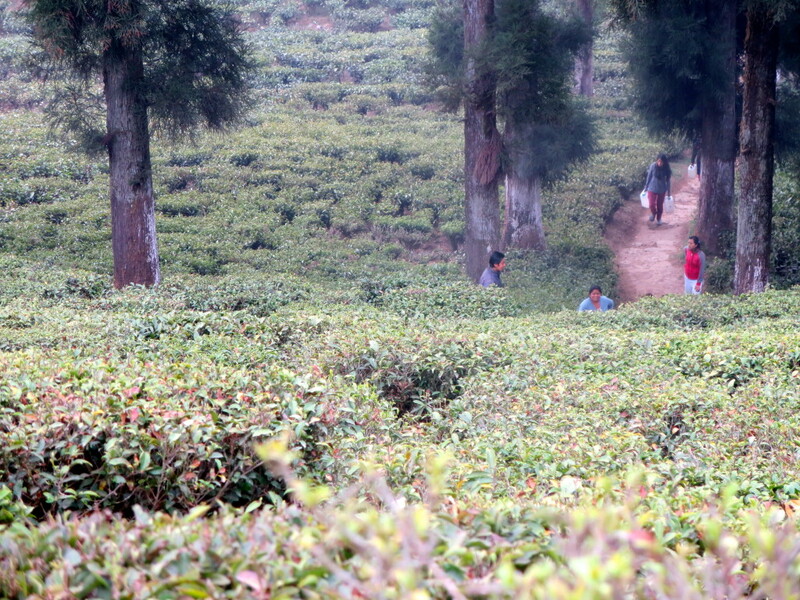 Happy Valley Tea Estate, Darjeeling, India. Our education continues at the Nathmulls tasting room where we spend a cool, rainy afternoon sipping eight different teas out of delicate stemware, including three black, two green, one white, one yellow and one oolong (our hands-down favorite). We are presented with the opened tea leaves to smell as each fresh-brewed cup is brought out to us in proper tasting order. Reader alert: I know nothing about tea. My playful, amateurish tasting notes below are not to be taken seriously by any hard-core, tea-drinking aficionados out there (yes, I’m talking to you, Joel Shapiro). It is a giddy experience to sip tea with one’s head in the Himalayan clouds, and there is an undeniable whimsy to this place, where grown men’s eyes still glint with dreams of being engineers, and where blue toy train cars still ride the rails. Notes: Pale and ethereal, with a delicate coolness that reminded me of Asian pears and bok choy. Hint of honeysuckle? Notes: The color of champagne when sipped outdoors on a picnic. Fruity nose and fresh green-sweet flavor, like green papaya or spring pea shoots. Not a hint of bitterness. Notes: A clean, kelp-like, ocean breeze sort of nose. Yellow-green color. Tastes “healthy.” Counteract this by pairing it with Mongolian beef and/or General Tso’s chicken. Notes: Delightful! Almonds? Yes, almonds. And peaches when they are so ripe the flavor darkens and the flesh blushes, and something tarter also like Italian oranges. Stunning amber color, light and long-lasting natural sweetness. Drink over deep philosophical discussion with a white rabbit. Curiouser and curiouser. Notes: Pale buttercup color. Light and refreshing, yet mysteriously savory. Boiled yellow potatoes with lemon thyme? This one has a spicy, peppery finish that sneaks up on you. Notes: Woodsy, like taking a shady walk under a thick canopy of cedars. Underlying berry notes. Visually beautiful to swirl around in your cup. Lingering tannins and flavor. Serve to discerning bears. Notes: Lovely! Rose and mango notes with lots of natural sweetness. Reminiscent of rooibos tea from South Africa, but with greater subtlety and complexity. Pair with summer laziness. 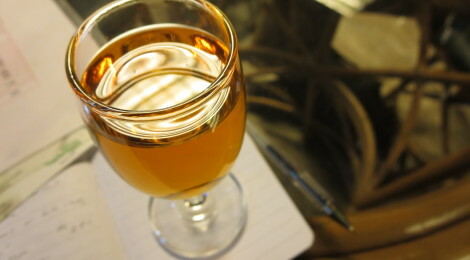 Notes: Round, pretty and bittersweet, like apricots dipped in dark chocolate. Jewel-toned color of caramelized oranges. The next morning the skies clear and we get our first glimpse of the incomparable Himalayas. One more week in India before moving onward to Nepal. 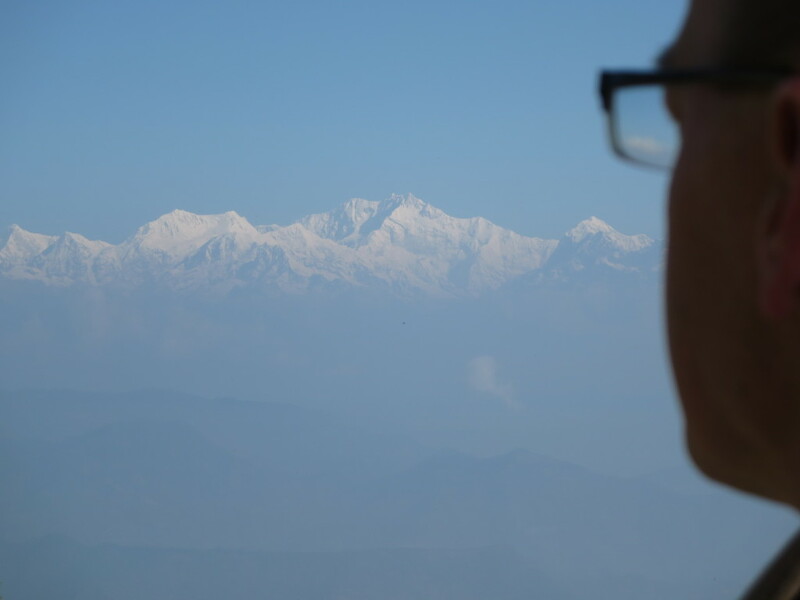 Christopher and the Himalayas meet face to face for the first time.